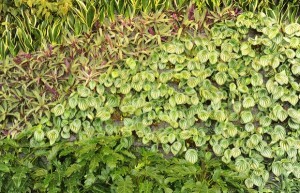 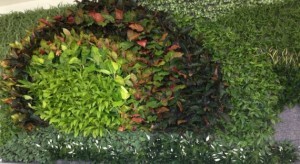 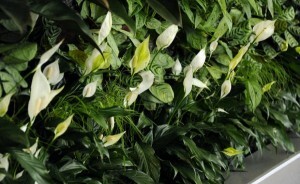 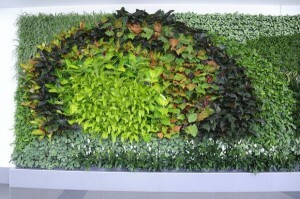 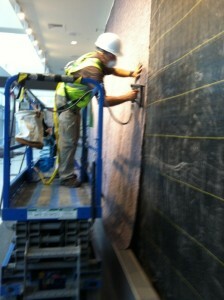 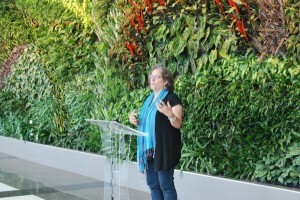 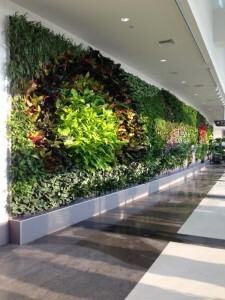 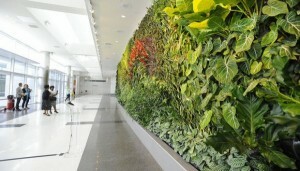 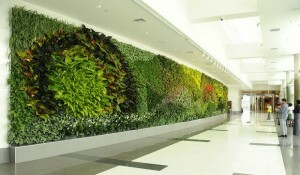 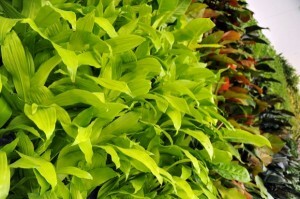 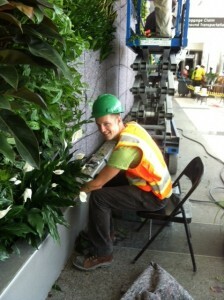 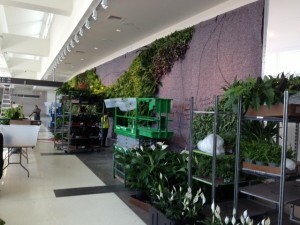 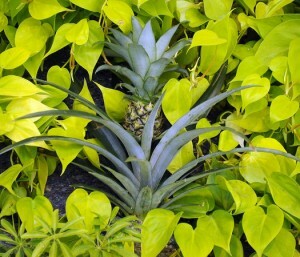 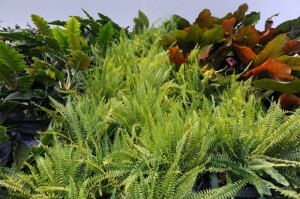 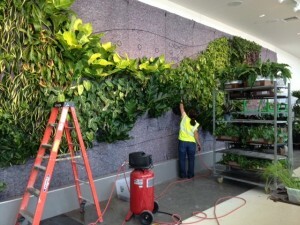 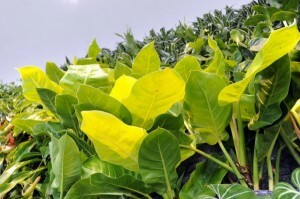 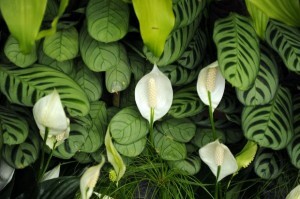 Foliage Design Systems is Alabama’s leading expert in living walls. 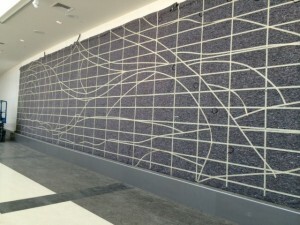 Located at the Birmingham Shuttlesworth International Airport in Birmingham, “Earth, Wind and Fire” was commissioned to provide a unique and inspiring experience for the thousands of annual travelers to and from Birmingham. 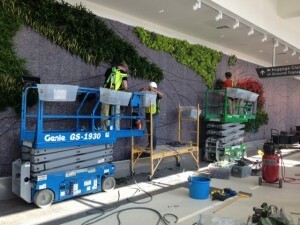 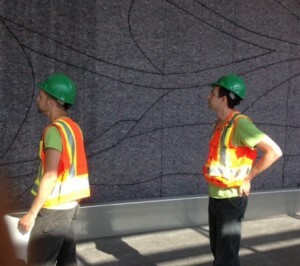 Completed July 21, 2014, our experts – in collaboration with local quilt artist Murray Johnston and Canadian design and installation experts Green Over Grey, who specialize in living walls – completed the project, which took more than 400 man-hours to build and install. 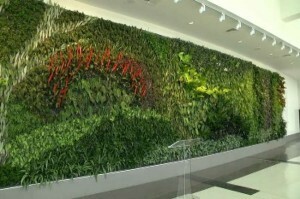 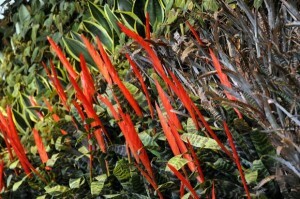 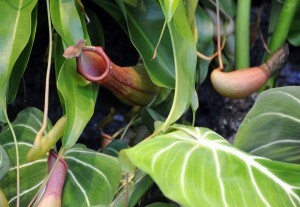 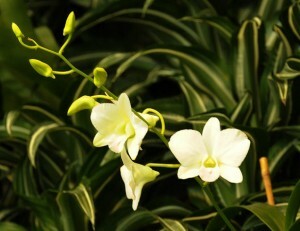 At 100 feet long and 15 feet in height, more than 60 species and 8,000 plants make up this impressive display. 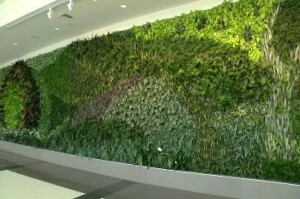 Living wall systems are an excellent way to add a renewable and aesthetically pleasing splash of life and color – and a literal breath of fresh air – to any office or business space. 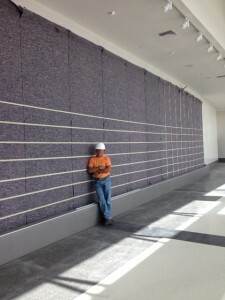 Designs can be custom planned to fit your work environment, and shaped and colored to fit your individual business’ style and needs. 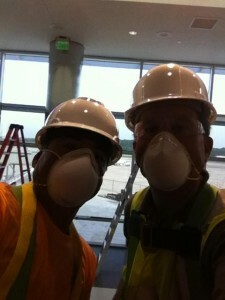 David Liu and Raymond Osbun - all geared up! 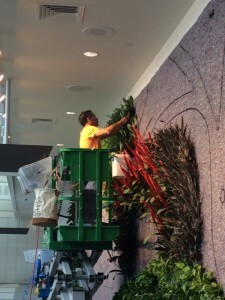 For more information or a free estimate, contact us today.contact us today.